The Champions League final goes this afternoon as two-time defending champion Real Madrid take on Liverpool for the title of best European club team in 2018. In honour of the occasion, TSN.ca takes a look at one of the players participating in today’s final ­­– Mohamed Salah ­– who will also play at this year’s World Cup in Russia. Strangely enough, there’s a Liverpool connection in Group A, and that’s Salah for Egypt and Luis Suarez of Uruguay. 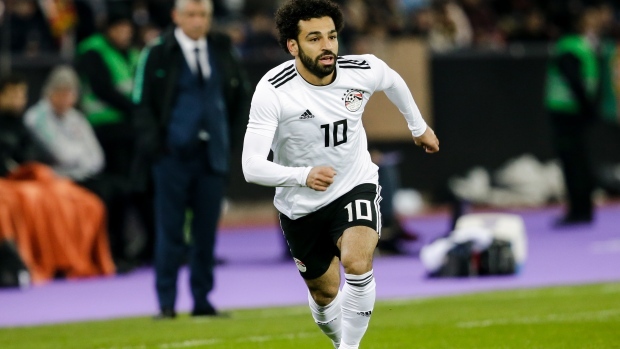 Egypt and Uruguay will meet on Friday, June 15, to kick off their respective tournaments and the first game in World Cup play is always the most important. It pits Liverpool’s past against Liverpool’s present. It also signals the changing of the guard, with one of the most consistent strikers in the world slowly leaving his prime against the other who’s just entering his heyday. Salah has come into his own this season with Liverpool. A relatively moderate signing by Jurgen Klopp, the 25-year-old exploded onto the scene and quickly started to show the world that he isn’t the same player he was a year ago when he was with AS Roma. The numbers speak for themselves. Just a year ago, Salah had a successful season stint in Rome with 15 goals and 11 assists in the Serie A. But this year we saw a virtually different player as he broke the Premier League record for goals scored in a season with 32 and scored 44 overall in all competitions. Oddly enough, the record Salah broke was owned by three players – Alan Shearer, Cristiano Ronaldo and Suarez. On the International stage Salah’s hero status knows no bounds. The Egyptian sent his national team to the World Cup for the first time in 28 years after scoring an injury time penalty against Congo in their final World Cup qualifier. All over Egypt you can find countless T-shirts, figurines and other Salah memorabilia in shop fronts. He’s created a new movement in the country, an elite world-class player that children will undoubtedly look up to. It will also most likely have a positive effect in the development of youth soccer in the country for generations to come. Salah makes the motor run for his national team and, heading into Russia, he will be the catalyst and focal point on the attack. In 12 international caps over the past two years dating back to 2017 Salah has six goals. It’s a pretty good return playing as a winger. In terms of talent, there is no one on the team close to Salah’s form and as he goes, the national team goes. If he has as good of a World Cup as his club campaign, the national team will surely benefit. The closest players to the talent level of Salah include Mohamed Elneny of Arsenal, Ramadan Sobhi of Stoke and Ali Gabr of West Bromwich Albion. The team is short on players who compete in Europe’s top-five leagues which could be Egypt’s downfall. Comparing the Egyptian team to Uruguay is almost night and day. 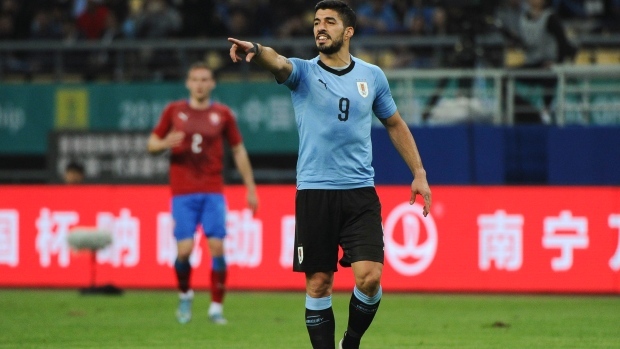 The talent levels lean heavily in Uruguay’s favour. But then again, the X factor is Salah, and just like his club career, he could have an extremely big coming-out party at the World Cup. As for Liverpool’s past, Suarez will most likely make the tournament in Russia his swan song. At 31, this World Cup will most likely be his last and he’ll be sure to make his mark. Suarez will always be fondly remembered for his time at Liverpool. He led the Reds to an almost Premier League-winning season in 2013-14 if not for a 3-3 tie against Crystal Palace and the infamous ‘Gerrard slip’ against Chelsea. A true number 9, Suarez has been one of the best goal-scorers in the world over the past decade, scoring 30 or more goals in all competitions in five of the last six seasons including a whopping 59 goals for Barcelona in 2015-16. On the international stage Suarez has been just as impressive. In big tournaments he tends to always show up and play his best football, scoring 50 goals in 97 appearances for Uruguay. Controversy, however, always seems to follow the Uruguayan. In the 2014 World Cup in Rio de Janeiro he was suspended for nine matches after biting Italian defender Giorgio Chiellini. Then, of course, at the 2010 World Cup in South Africa he deliberately saved a goal with his hands at the goal line, which resulted in Suarez getting sent off. Despite the penalty, Ghana missed and Uruguay advanced to the next round. It showed that no matter what – even if it’s shady – Suarez will do anything to help his national team succeed. For the 2018 World Cup, Uruguay has a balanced lineup with both youth and experience. Diego Godin and Edinson Cavani lead the way for the old guard while the likes of Lucas Torreira and Maximiliano Gomez throw in some young firepower. Uruguay is a team that could definitely go far in the tournament. Unlike Salah, Suarez has a partner up top that is equally as potent in scoring goals. Cavani is another world-class striker and will help to share the load for Uruguay. Though the 31-year-old Cavani is important to the team, he’s only a cog in the machine and his teammates can also get the job done without him. Head-to-head, Uruguay has the upper hand against Egypt, with more players from top clubs, a stronger midfield and a top-notch defence. Either way, it will be an interesting match when both teams meet on the World Cup stage. 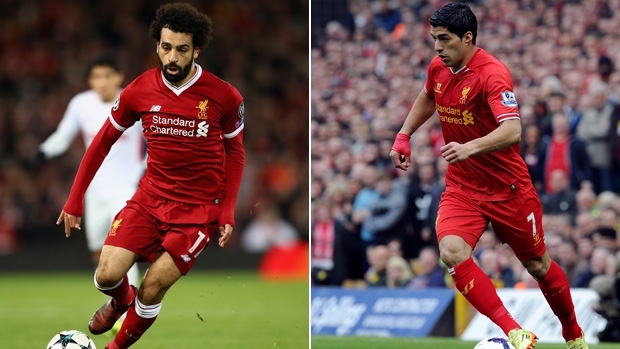 Salah vs. Suarez will be sure to provide football fans with plenty of entertainment and a lot of goals to boot.